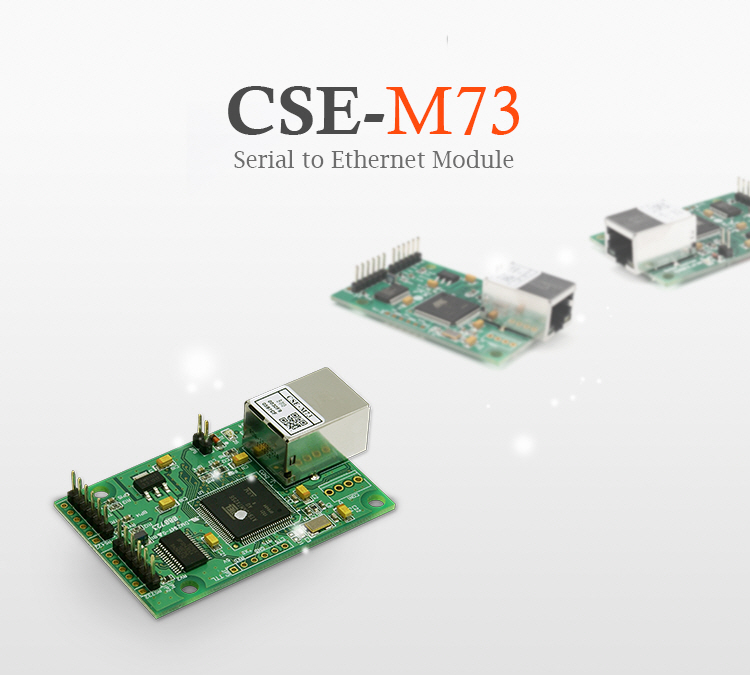 CSE-M73 is an embedded serial to Ethernet module with a built-in RJ45 connector for Ethernet interface. Embedded with an optimized TCP/IP stack, et module helps you minimize the hassle needed to mount since it comes equipped with a RJ45 connector and serial port interfaced with RS232, RS422, and RS485. CSE-M73 is especially suitable for Multi Monitoring, Solar Energy Management System, etc.